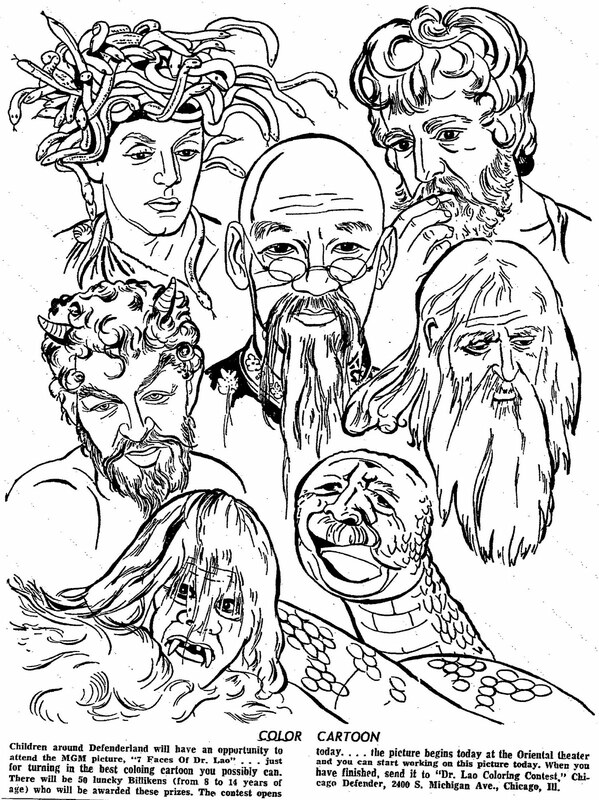 Great artistry for the coloring contest for the movie "7 Faces of Dr. Lao". There were only a few movies that all of us kids (my 3 brothers and I) would sit down together and watch. I can think of three at this moment - 1) Father Goose with Cary Grant , 2) The Bridge On The River Kwai, and 3) 7 Faces of Dr. Lao. Tony Randall is terrific in this movie. 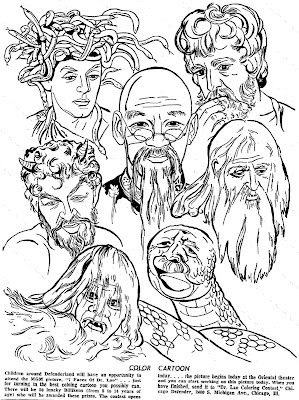 From Leonard Maltin's Movie & Video Guide - 7 FACES OF DR. LAO (1964) Directed by George Pal. 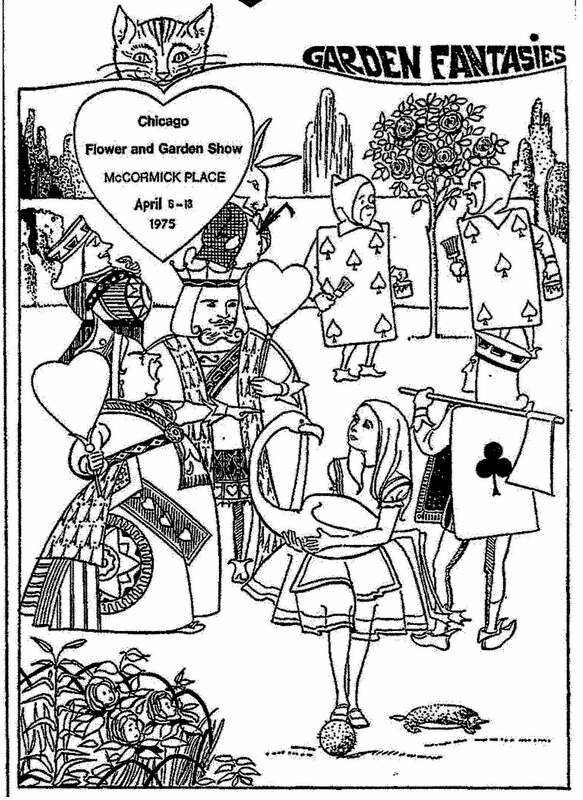 Starring Tony Randall, Barbara Eden, Arthur O'Connell, John Ericson, Kevin Tate, Argentina Brunetti, Noah Beery, Jr., Minerva Urecal, John Qualen and Lee Patrick. 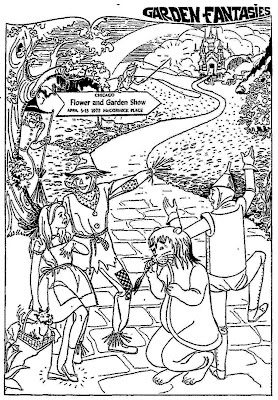 Engaging fantasy of Western town brought to its senses by parables performed by mysterious traveling circus; tour de force for Randall, who plays six roles. William Tuttle won special Oscar for makeup creations. Based on Charles G. Finney's novel, The Circus of Dr. Lao. If you only know Tony Randall for his comedic work, then you must see this movie - he is so good in the many roles that he plays. It is clear why the makeup artist won an Academy Award for his work in this very strange movie. 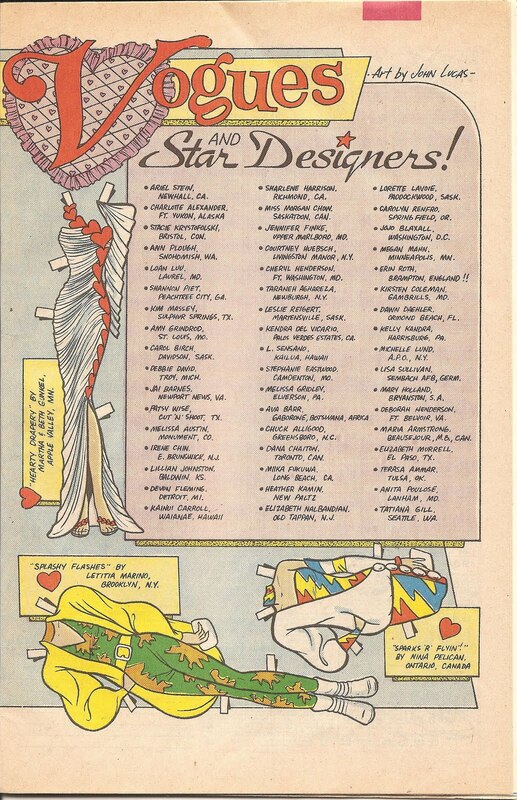 Also, I have always liked Barbara Eden. 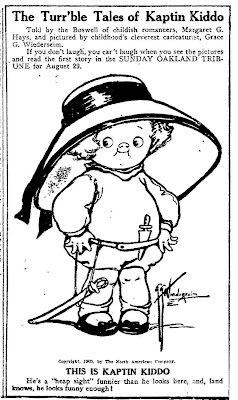 THE TURR'BLE TALES OF KAPTIN KIDDO - Told by the Boswell of childish romancers, Margaret G. Hays, and pictured by childhood's cleverest caricaturist, Grace G. Wiederseim. 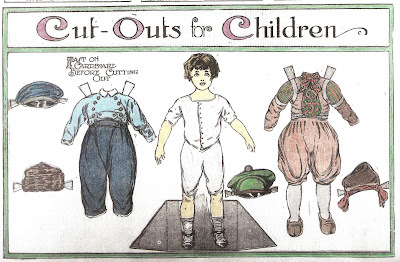 If you don't laugh, you can't laugh, when you see the pictures and read the first story in the Sunday Oakland Tribune for August 29. THIS IS KAPTIN KIDDO - He's a "heap sight" funnier than he looks here, and, land knows, he looks funny enough! 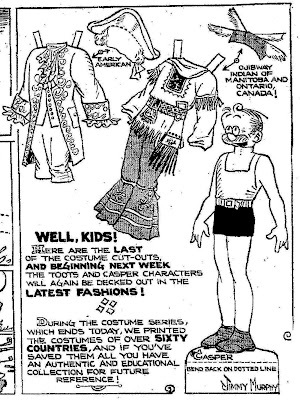 This newspaper Ad for the new comic strip "The Turr'ble Tales of Kaptin Kiddo" appeared in the newspaper in August of 1909. 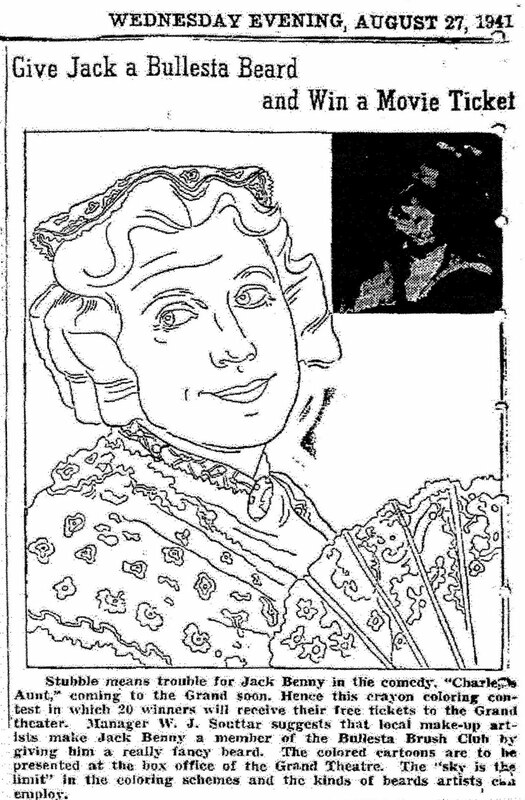 The artist, after her divorce from Mr. Wiederseim, became the very well known artist, Grace G. Drayton, of Dolly Dingle fame. 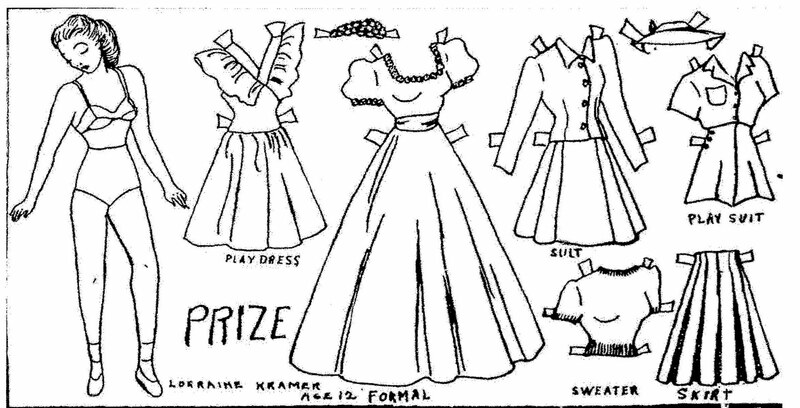 This paper doll by Aunt Elsie Paper Doll Club member, Lorraine Kramer, age 12, appeared in the Tribune on June 22, 1941. 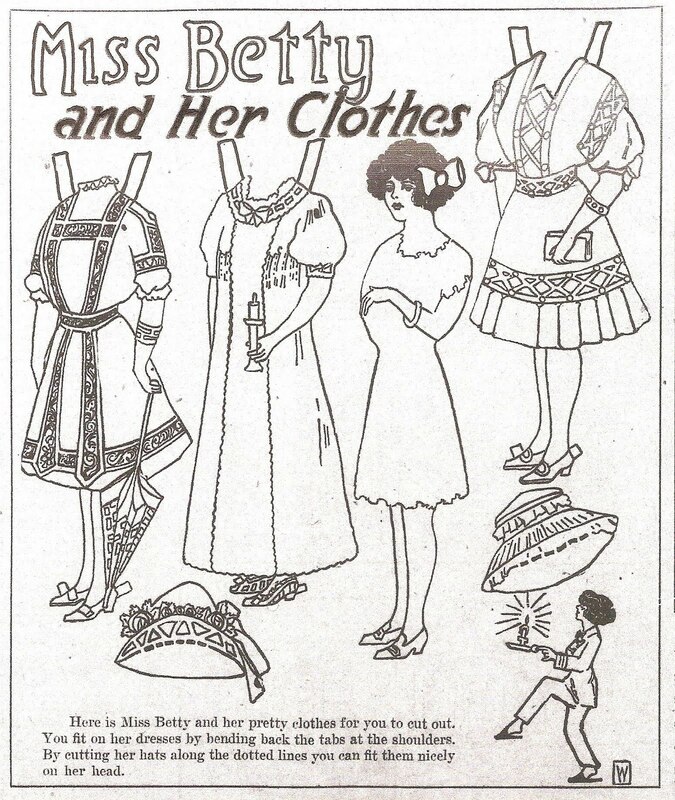 "Here is Miss Betty and her pretty clothes for you to cut out. 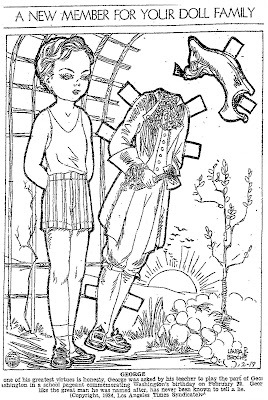 You fit on her dresses by bending back the tabs at the shoulders. 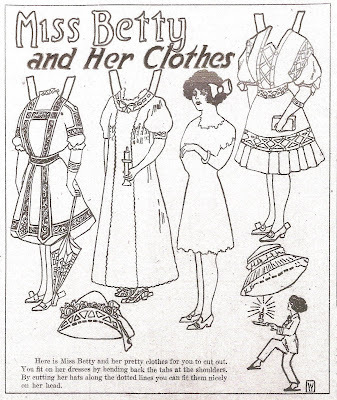 By cutting her hats along the dotted lines you can fit them nicely on her head." 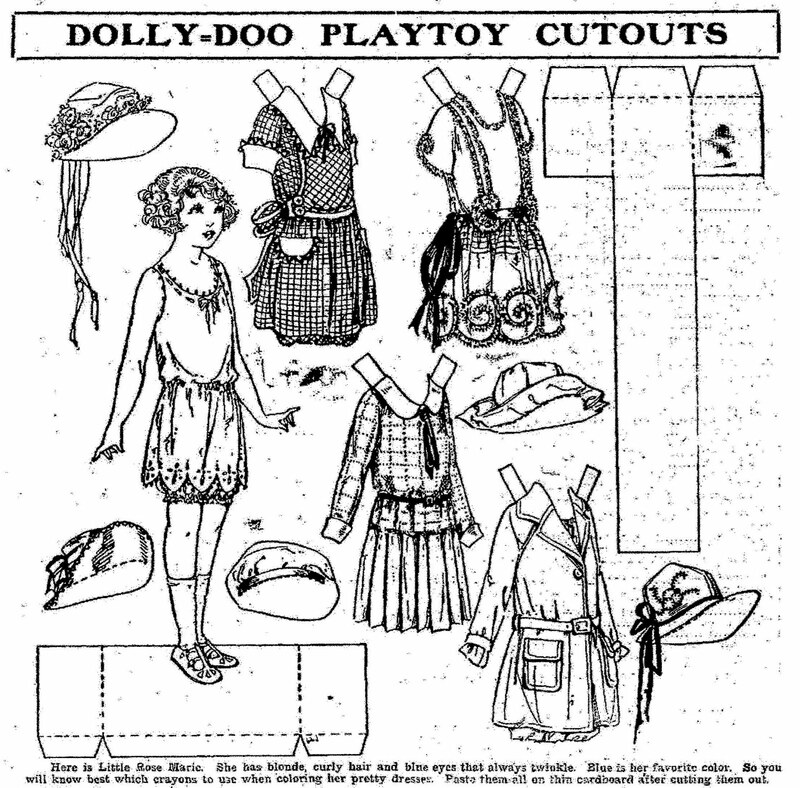 This paper doll appeared in a California newspaper on February 16, 1913. I have seen lots of cowboys and horses on the streets of Houston today. Boy Howdy, it must be Rodeo time again. I loved dressing up as a cowgirl on Go Texan Day when I was little. I am with my parents and two of my brothers in the other photo, my oldest brother was behind the camera. I love Texas and I really enjoy seeing the trail riders coming into town. 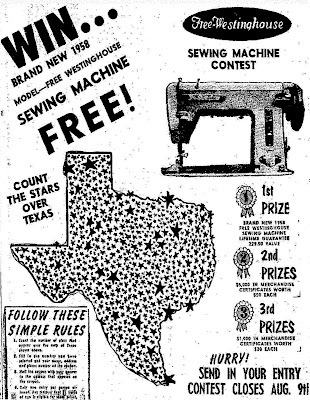 Count the Stars Over TEXAS. 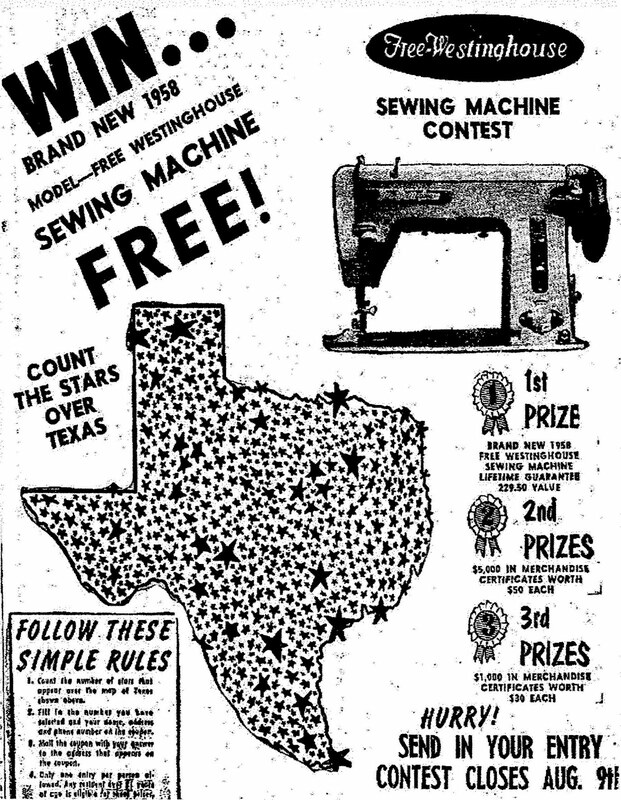 This contest appeared in a San Antonio newspaper on August 03, 1958. 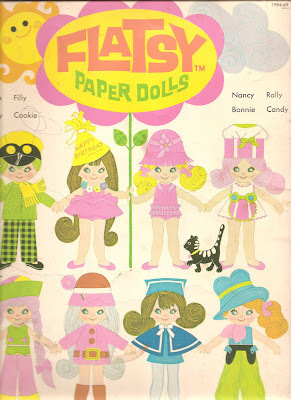 I loved my Flatsy Paper Dolls. 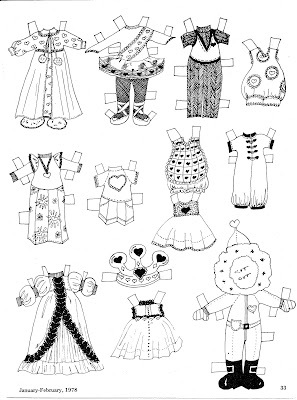 I still have most of the clothing but I am missing a few hats and most of the dolls have their heads and arms taped on. I needed a cowgirl for "GO TEXAN DAY" so I decided to post Filly, my Flatsy cowgirl. "BREAK OUT THE CRAYONS - To help promote the current Dickinson County Memorial Hospital Auxillary membership drive, Mrs. Ray Chestnut created the above cutout display for area children. 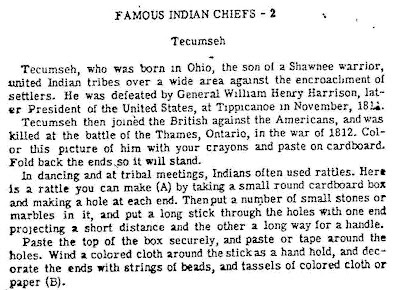 All youngsters are invited to wield the crayons and then show their work to mother. 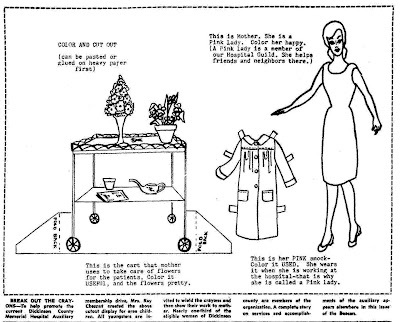 Nearly one-third of the eligible women of Dickinson County are members of the organization." 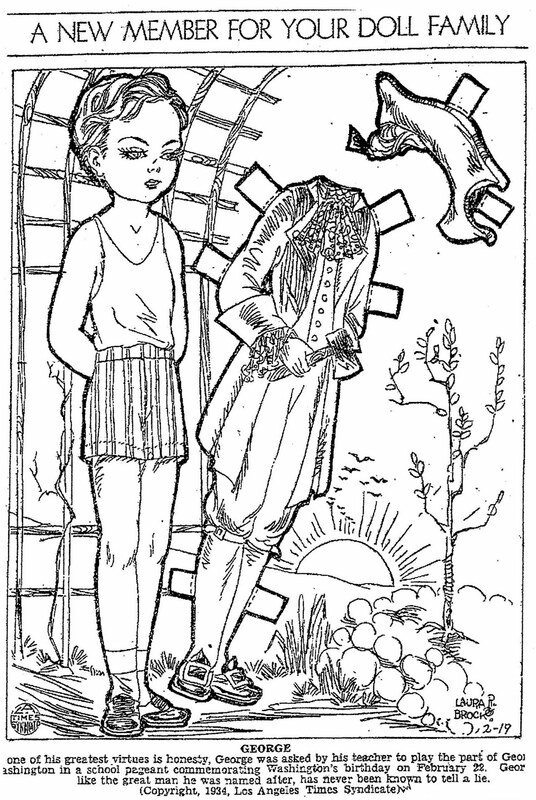 A paper doll that I came across when I was searching newspapers for coloring contest. 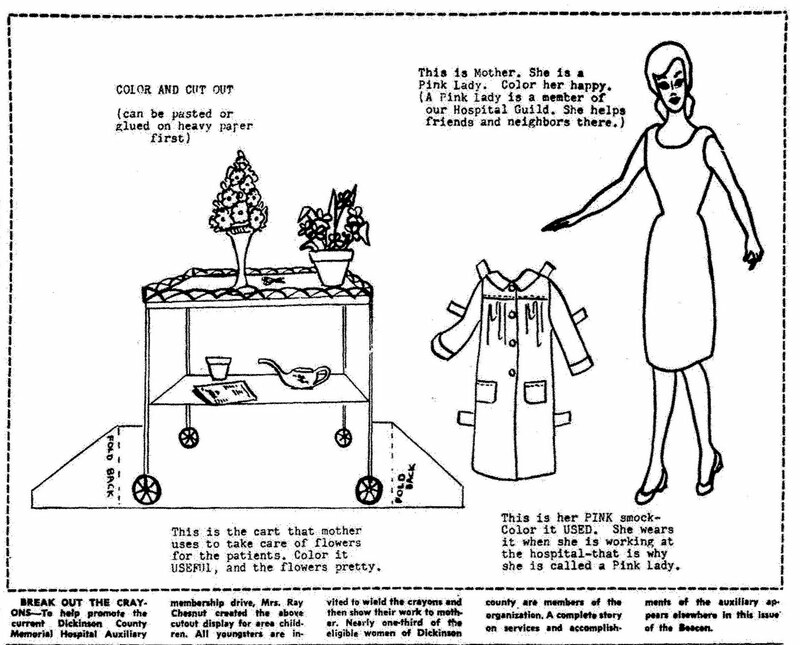 This Pink Lady paper doll appeared in the Beacon from Spirit Lake, Iowa on April 01, 1965. 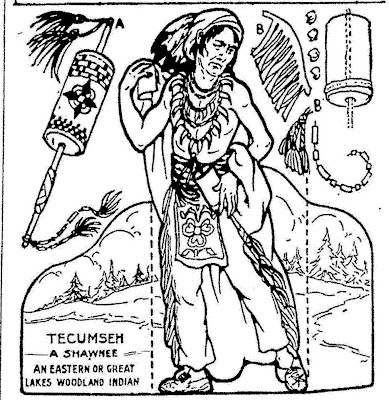 Tecumseh was the second in a series of Famous Indian Chiefs Cut-Outs that appeared in newspapers in September of 1956. 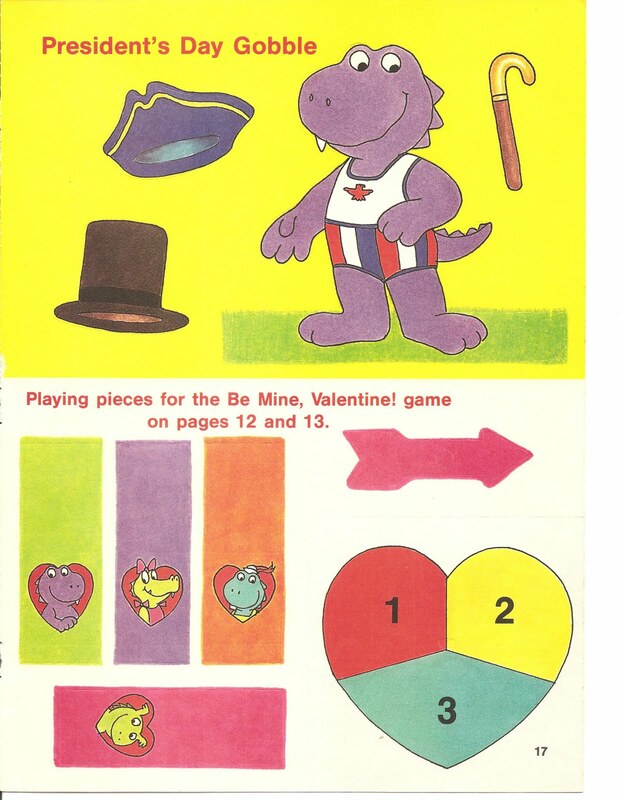 This counting contest makes me sad. 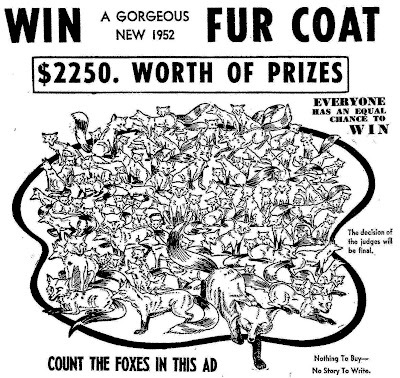 Count the Foxes and win a fox-fur coat! I have only seen one fox in the wild and he was beautiful. 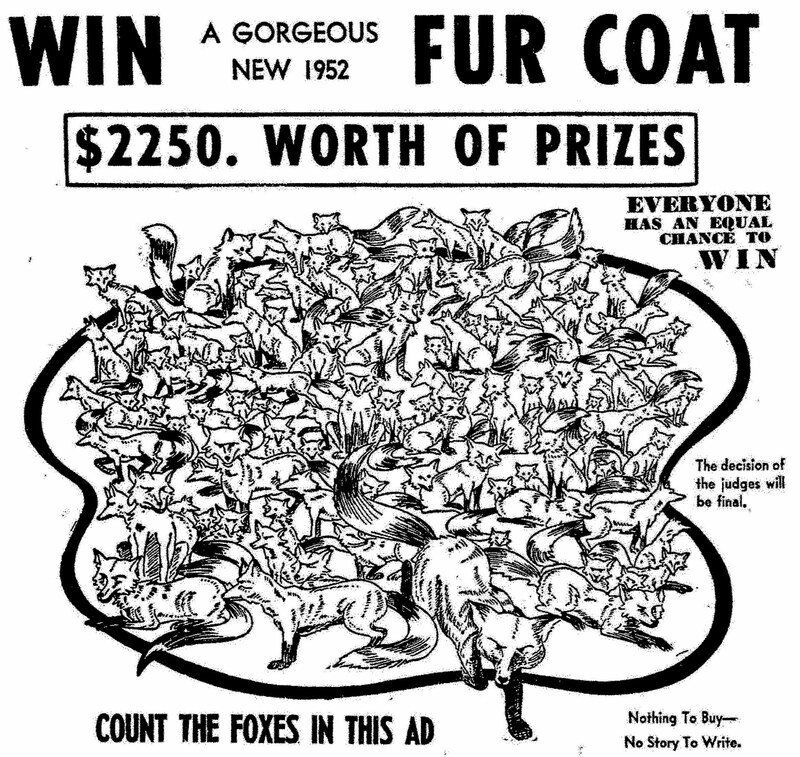 Anyway, I am going to pretend that it was a FAKE fur coat that the winner received. 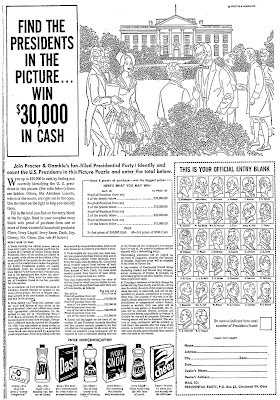 This contest appeared in a Nevada newspaper in 1951. I really like all the hats. 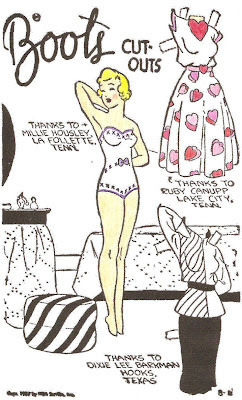 This is Mabel from the newspaper comic strip "Toots and Casper". 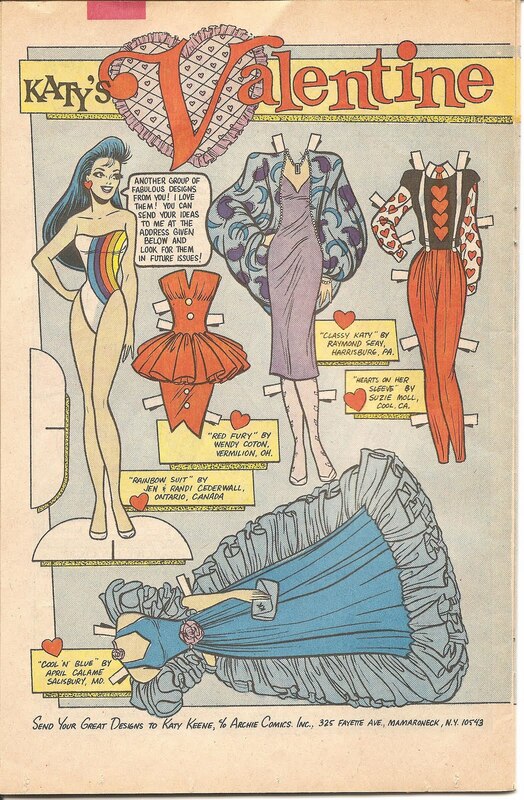 The paper doll appeared in the comics on January 27, 1935. 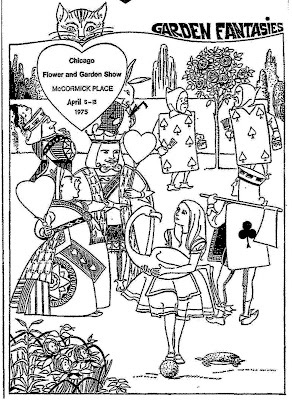 Here are two of the four pictures to color from the 1975 Chicago Flower & Garden Show Coloring Contest. 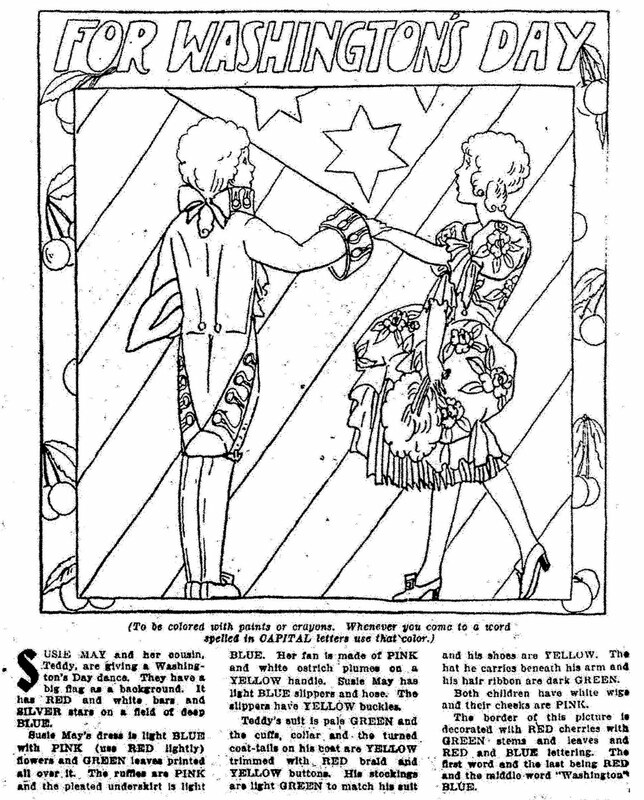 The pictures appeared in the newspaper in March of 1975. 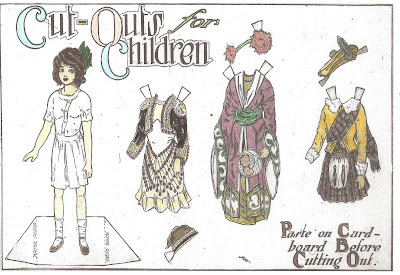 A very cute paper doll from the long-running newspaper paper doll series "CUT-OUTS FOR CHILDREN. 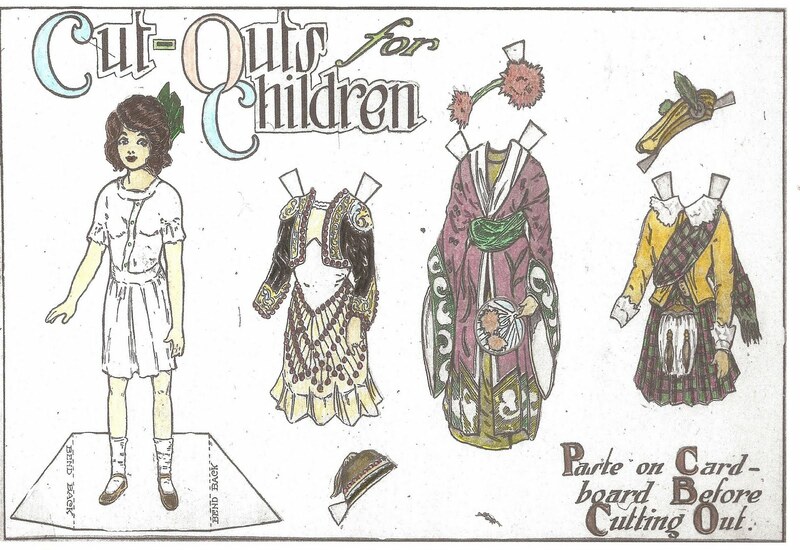 This little girl paper doll and her costumes from around the world appeared in newspapers on October 31, 1909.
" Here is little Rose Marie. She has blonde, curly hair and blue eyes that always twinkle. Blue is her favorite color. 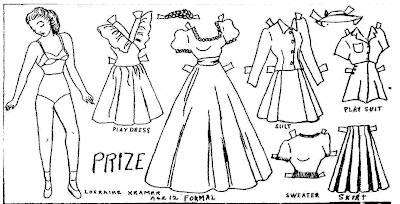 So you will know best which crayons to use when coloring her pretty dresses. Paste them all on thin cardboard after cutting them out. " 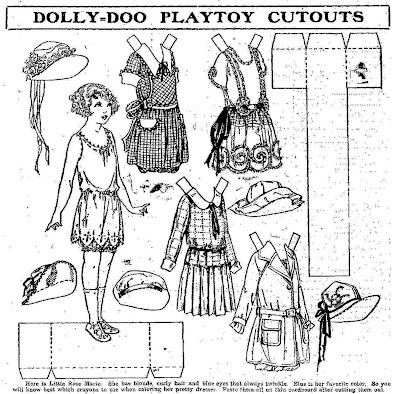 This DOLLY-DOO PLAYTOY CUTOUT appeared in a New Hampshire newspaper in September of 1930. 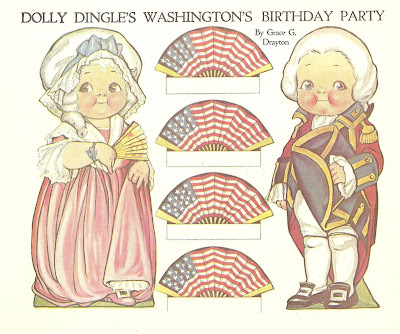 Susie May and her cousin, Teddy, are giving a Washington Day's dance. 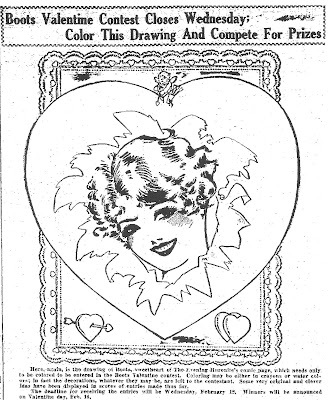 From the Susie May coloring page series and appeared in newspapers in February of 1929. 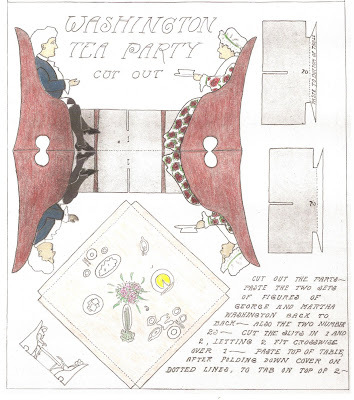 A newspaper cut-out of George and Martha Washington having tea. This cut-out is from February 1904. 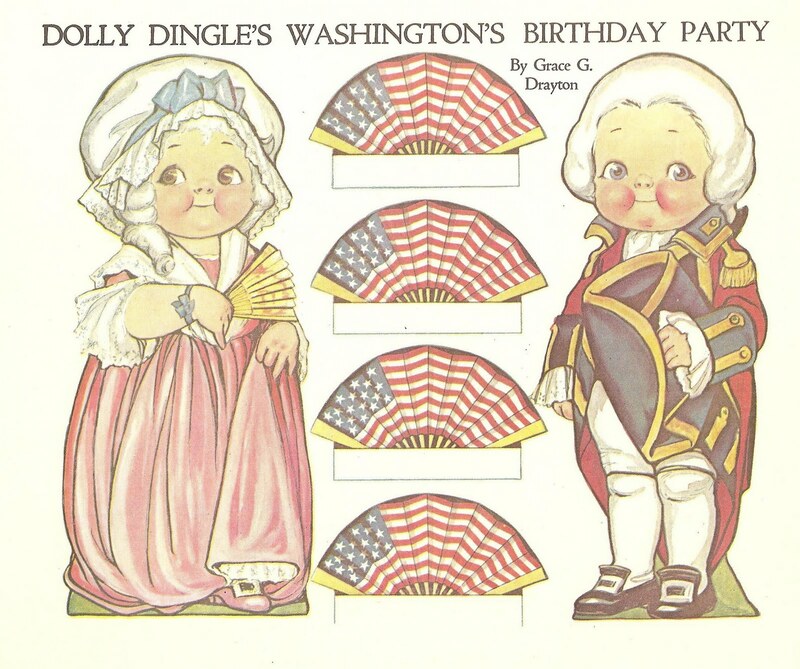 Dolly Dingle celebrates GEORGE WASHINGTON'S birthday by Grace G. Drayton. Thanks mom. 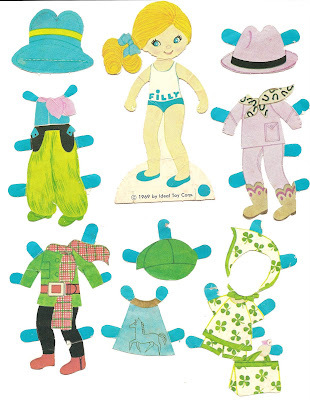 Here is GEORGE, another paper doll from the Laura Brock newspaper series. "One of his greatest virtures is honesty. 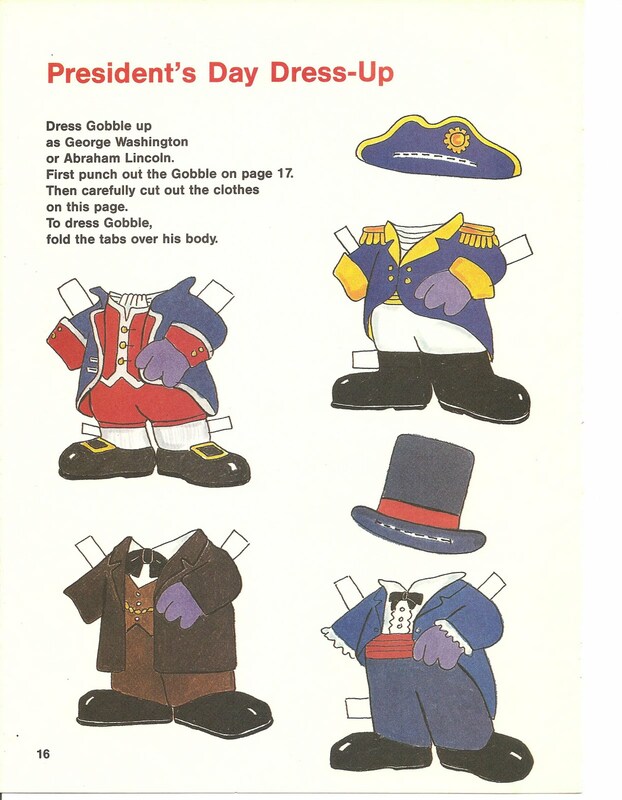 George was asked by his teacher to play the part of GEORGE WASHINGTON in a school pageant commemorating Washington's birthday on February 22. 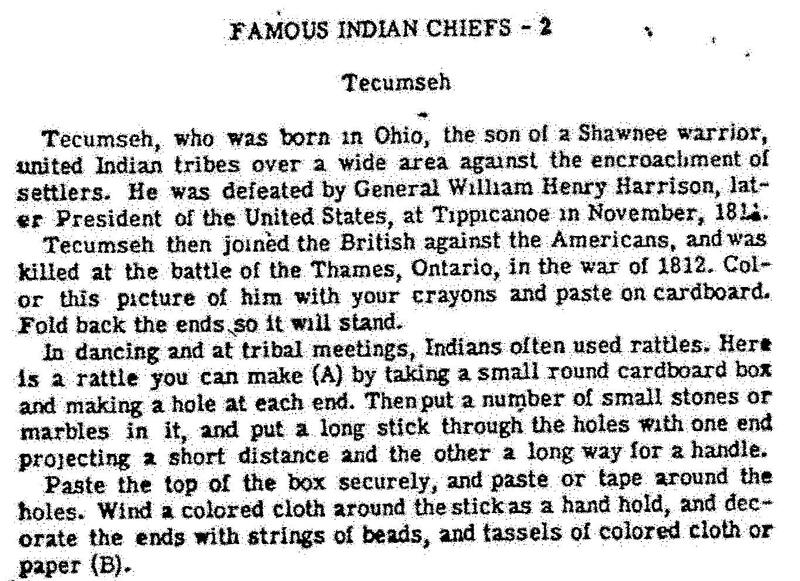 George, like the great man he was named after, has never been known to tell a lie." 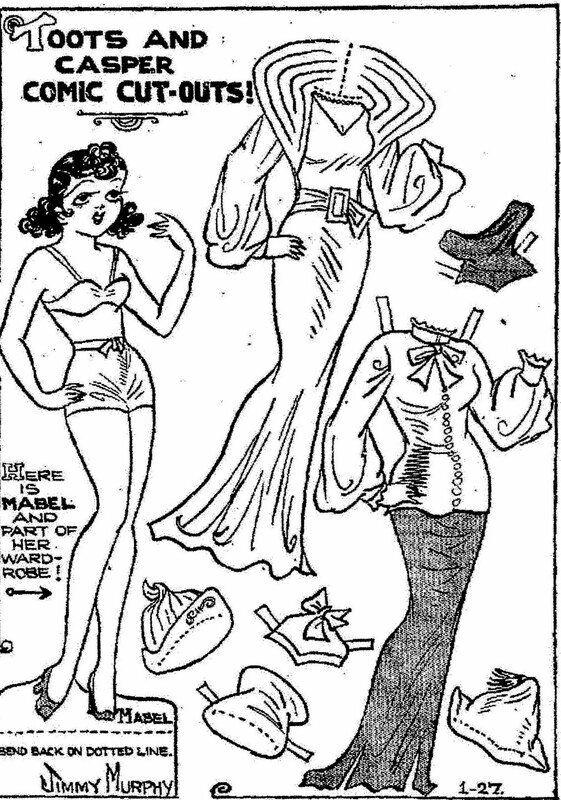 This paper doll appeared in various newspapers in February of 1934.
" 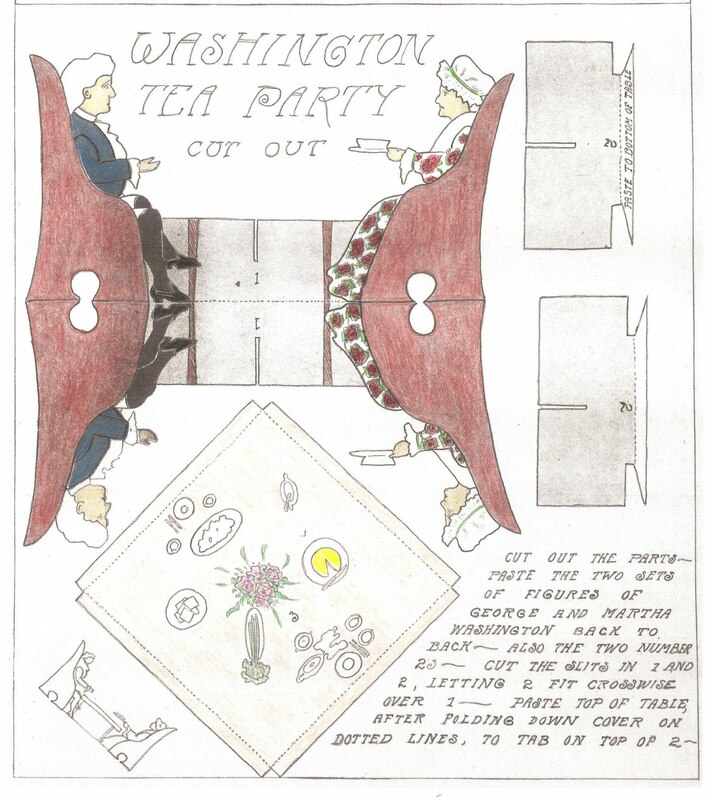 Join Procter & Gamble's fun-filled Presidential Party! 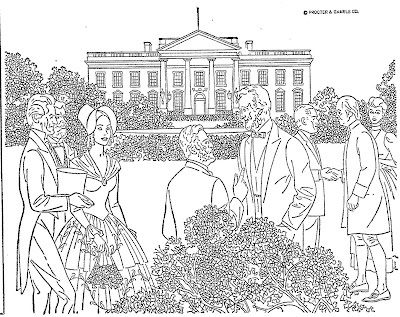 Identify and count the U. S. Presidents in this Picture Puzzle and enter the total below." 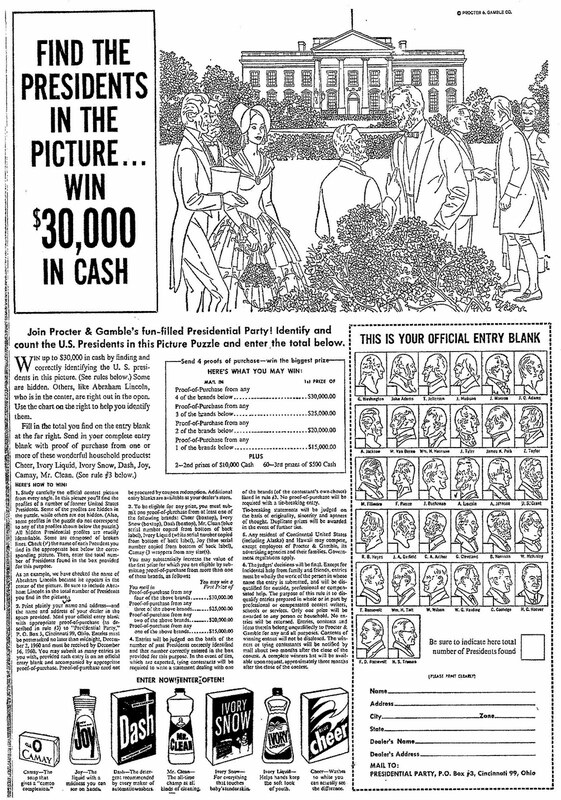 This contest appeared in newspapers across the Country in September of 1960 Try to correctly identify the U. S. Presidents in this picture. Some are hidden. 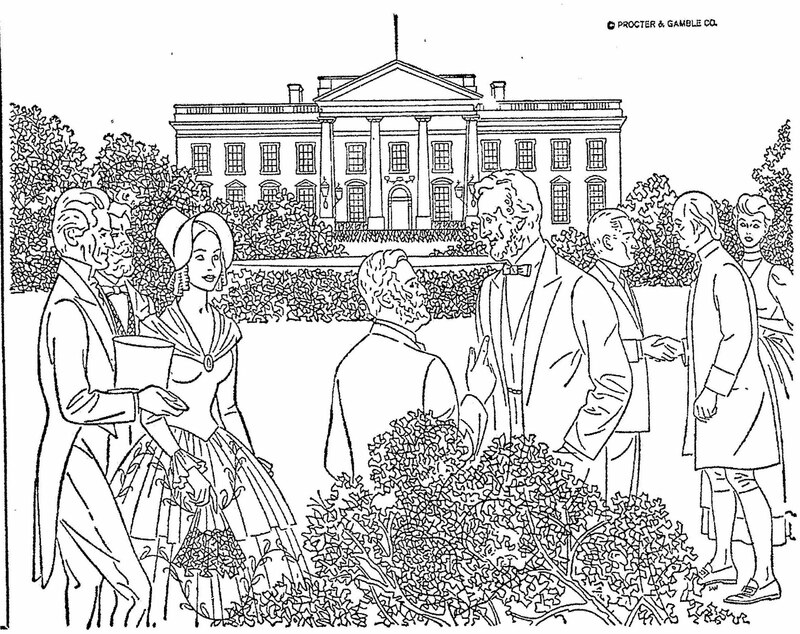 Others, like Abraham Lincoln, who is in the center, are right out in the open. 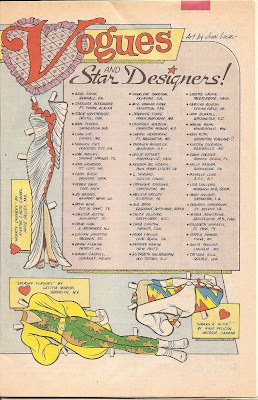 Use the chart to help you identify them.
" 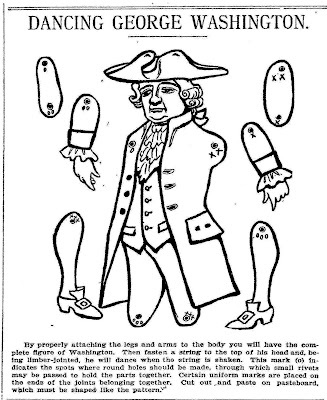 By properly attaching the legs and arms to the body you will have the complete figure of Washington. 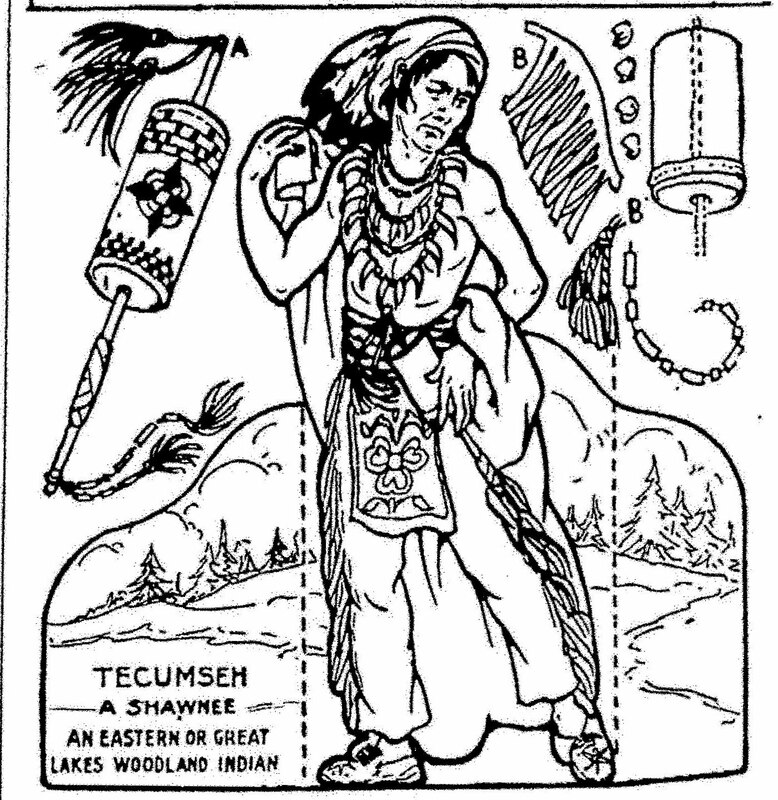 Then fasten a string to the top of his head and, being limber-jointed, he will dance when the string is shaken. " 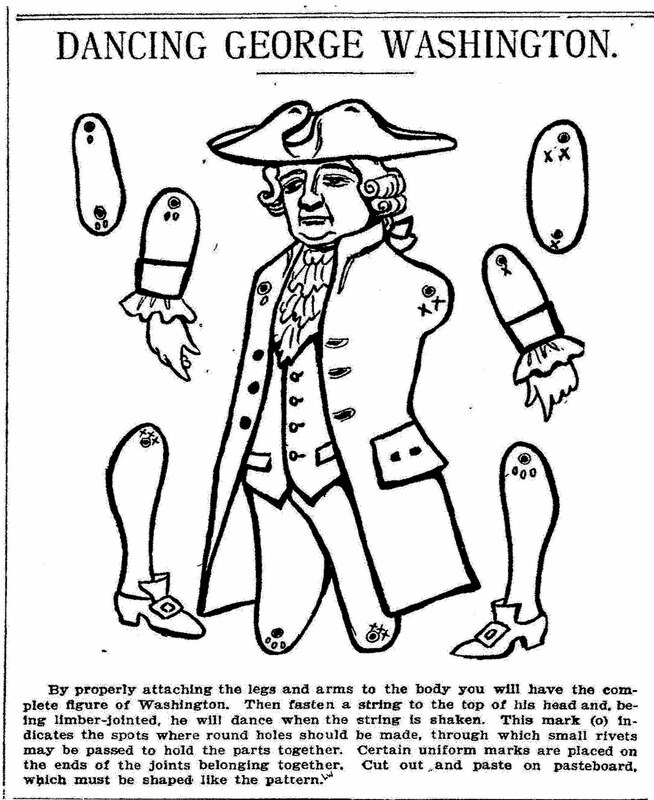 This newspaper cut-out of GEORGE WASHINGTON appeared in various newspapers in February of 1905. I like it! 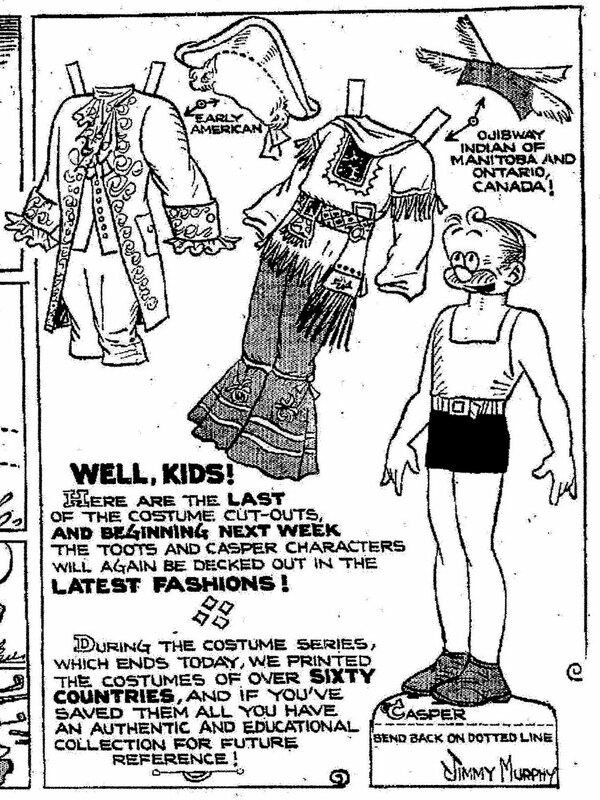 This movie contest for "Charley's Aunt" appeared in newspapers in August of 1941. 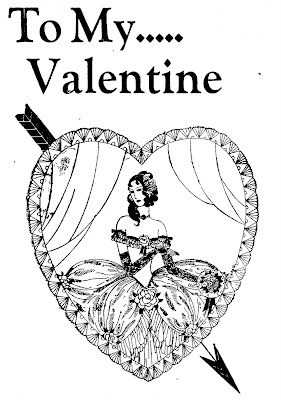 The movie starred Jack Benny, Kay Francis, James Ellison, Anne Baxter, Edmund Gwenn and Reginald Owen. 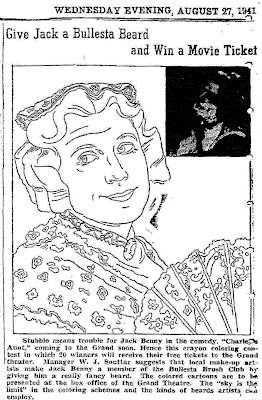 Based on the play by Brandon Thomas about an Oxford student posing as maiden aunt. 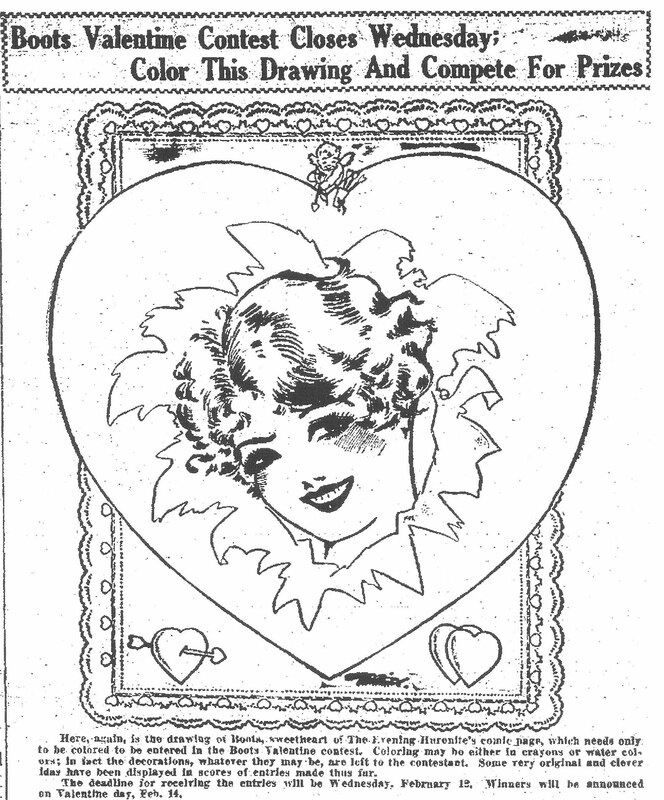 Charley's Aunt was directed by Archie Mayo. 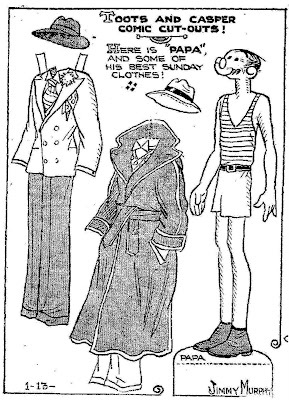 Get out your crayons and draw a beard on Jack Benny. 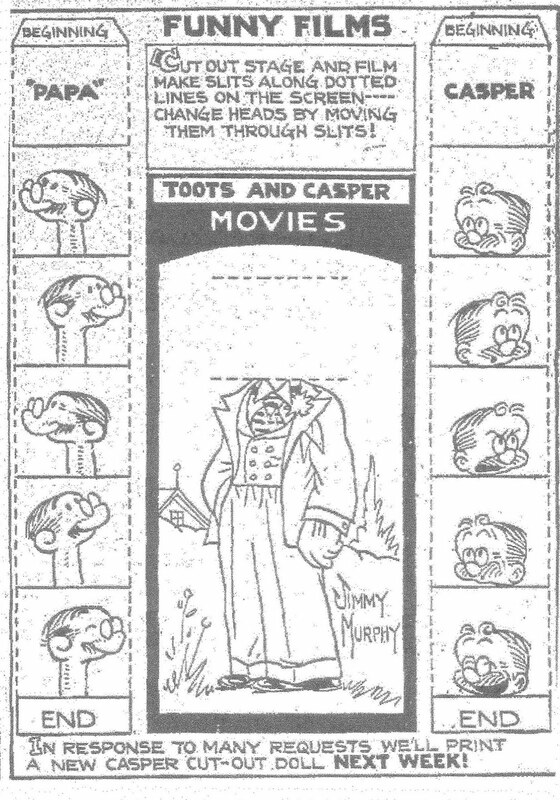 From the January 06, 1935 Sunday newspaper comic strip, TOOTS AND CASPER. Many newspaper comic strips had these Funny Films cut-outs for the children. 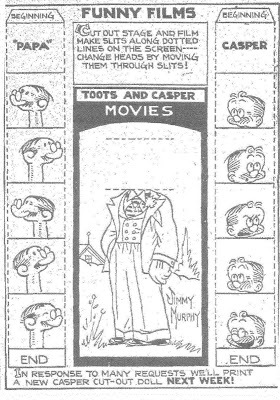 This one for the comic strip, TOOTS AND CASPER, appeared in newspapers on September 17, 1933. Sword Girl, from the newspaper poster series, appeared in The Sunday Call in 1902. This Ronald McDonald Valentine Coloring Contest appeared in newspapers in February of 1976. A BOOTS Topper from the 1930's. Here she is, BOOTS and her hearts dress. 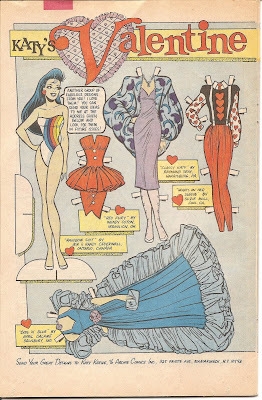 This paper doll appeared in the newspaper comics on August 02, 1953. 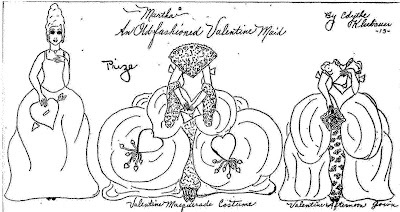 PUG also has a valentine dress. 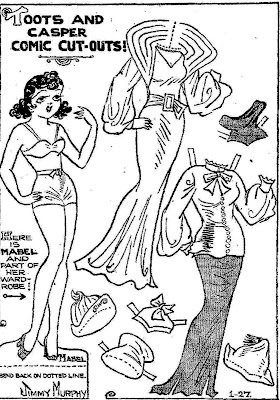 The Pug paper doll appeared in the comics on August 27, 1950. 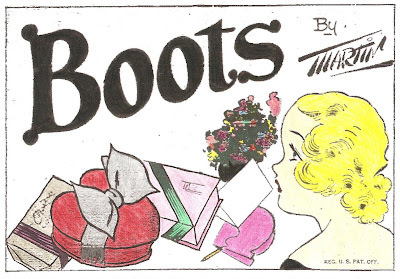 BOOTS Valentine Coloring Contest appeared in newspapers in February of 1930. Many thanks to Edgar Martin. 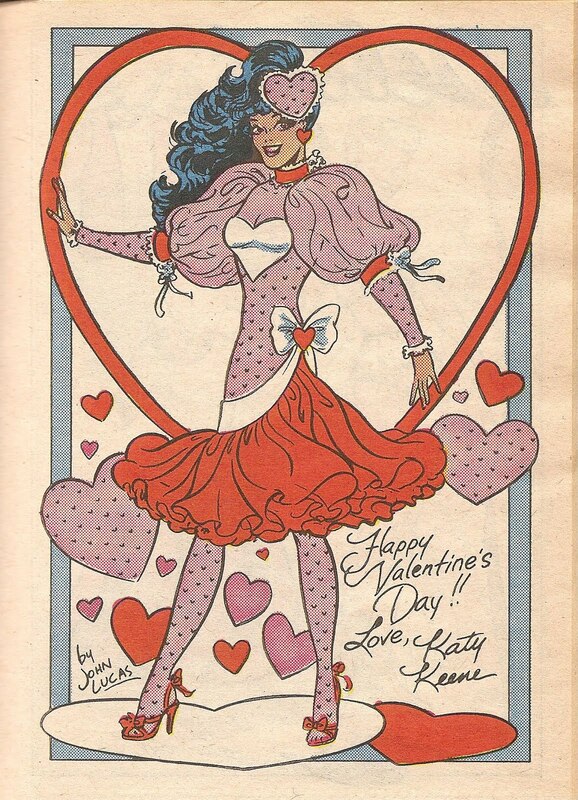 Katy's Valentine Vogues appeared in the KATY KEENE comic book Vol. 1, No. 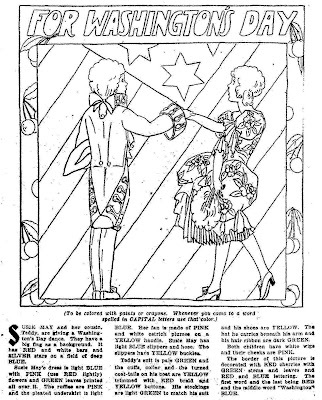 20, April 1987. From the KATY KEENE Comics Digest Magazine, No. 5, March 1989. 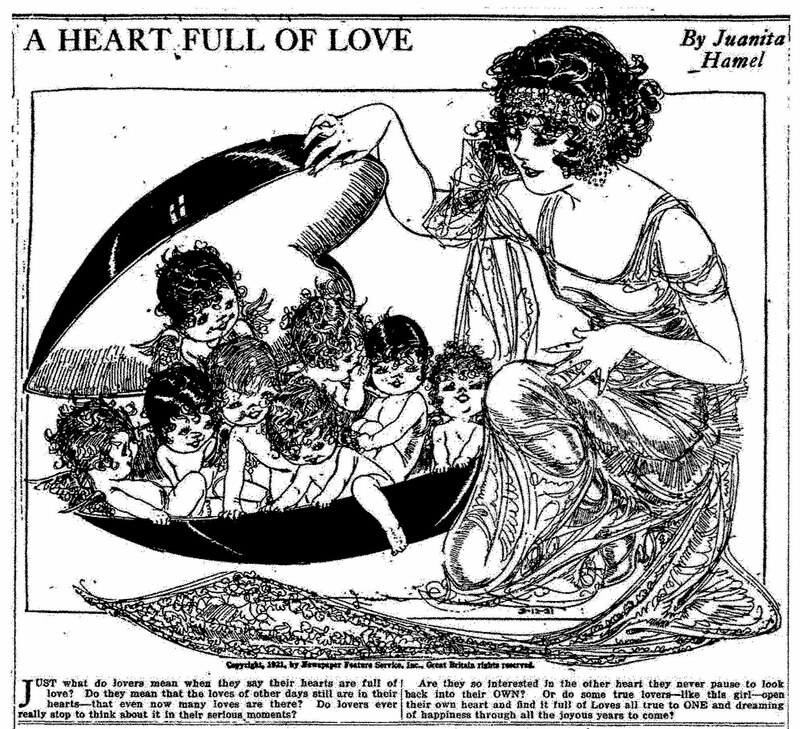 INSPIRATION by Juanita Hamel appeared in newspapers in February of 1923. 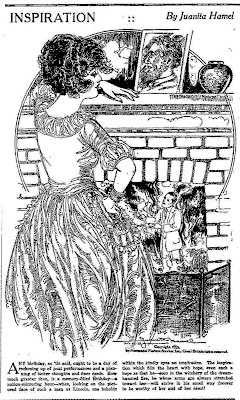 "Any birthday, so 'tis said, ought to be a day of reckoning up of past performances and a planning of better thoughts and finer deeds. How much greater then, is a memory-filled birthday--a nation mirroring hour - when, looking on the pictured face of such a man as LINCOLN, one beholds within the kindly eyes an inspiration. 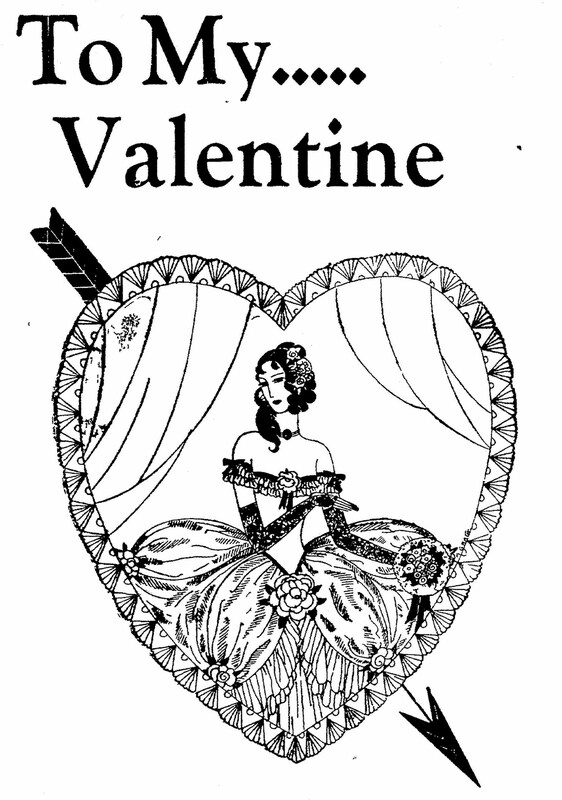 The inspiration which fills the heart with hope, even such a hope as that he - seen in the witchery of the dream-haunted fire, he whose arms are always stretched toward her - will strive in his small way forever to be worthy of her and her ideal!" 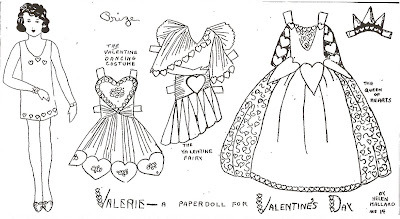 CRINOLINE CUT-OUT NOVELTY by Emma McKean appeared in newspapers in February of 1963. 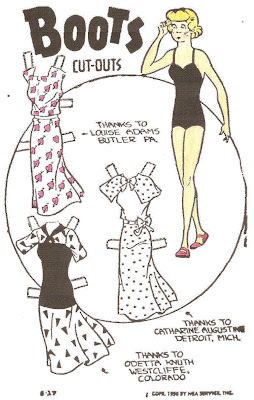 "In the days of ABRAHAM LINCOLN, whose birth we commemorate this week, young ladies dressed differently. 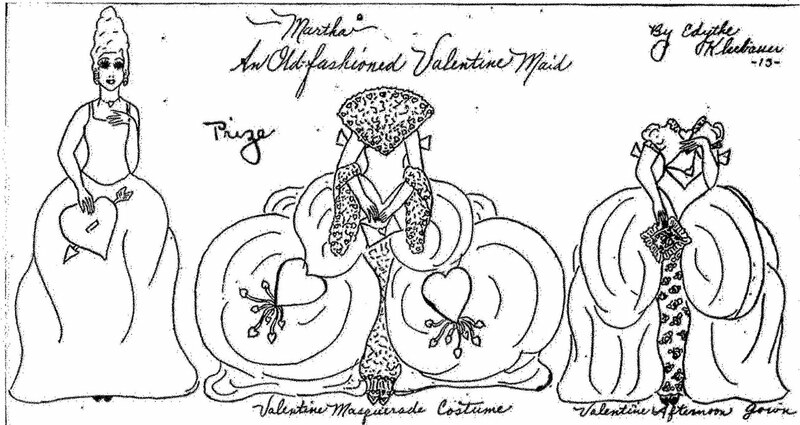 This was a time of crinoline skirts and petticoats, and flaring bell-shaped dresses. 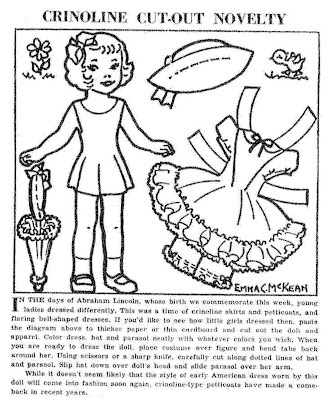 If you'd like to see how little girls dressed then, paste the diagram above to thicker paper or thin cardboard and cut out the doll and apparel. Color dress, hat and parasol neatly with whatever colors you wish. When you are ready to dress the doll, place costume over figure and bend tabs back around her. Using scissors or a sharp knife, carefully cut along dotted lines of hat and parasol. 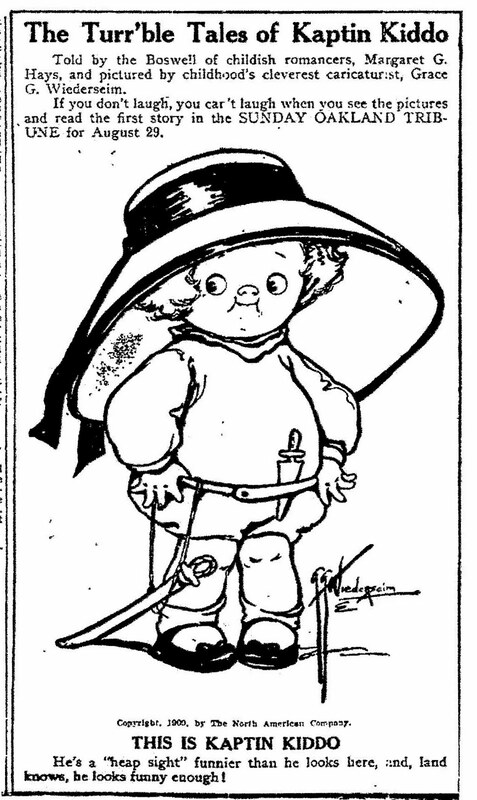 Slip hat down over doll's head and slide parasol over her arm. 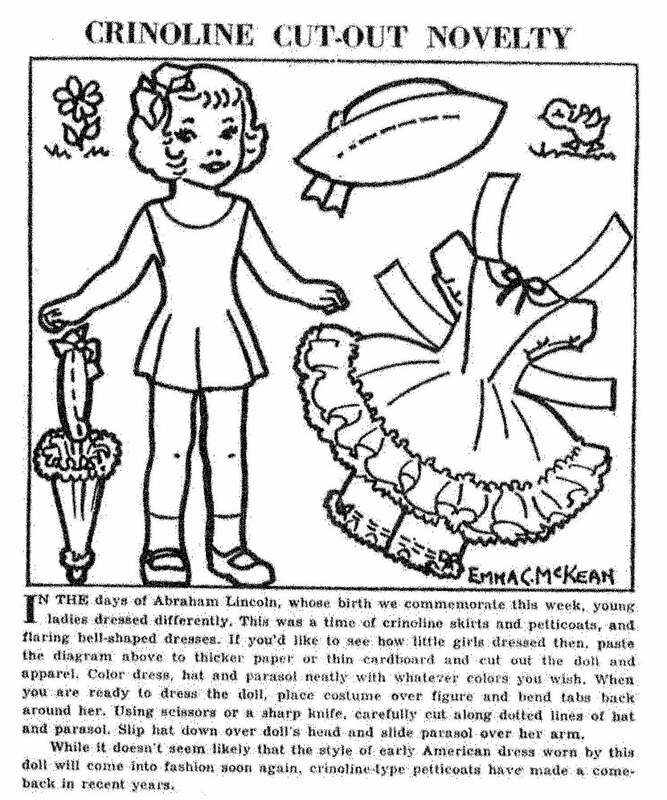 While it doesn't seem likely that the style of early American dress worn by this doll will come into fashion soon again, crinoline-type petticoats have made a come-back in recent years." 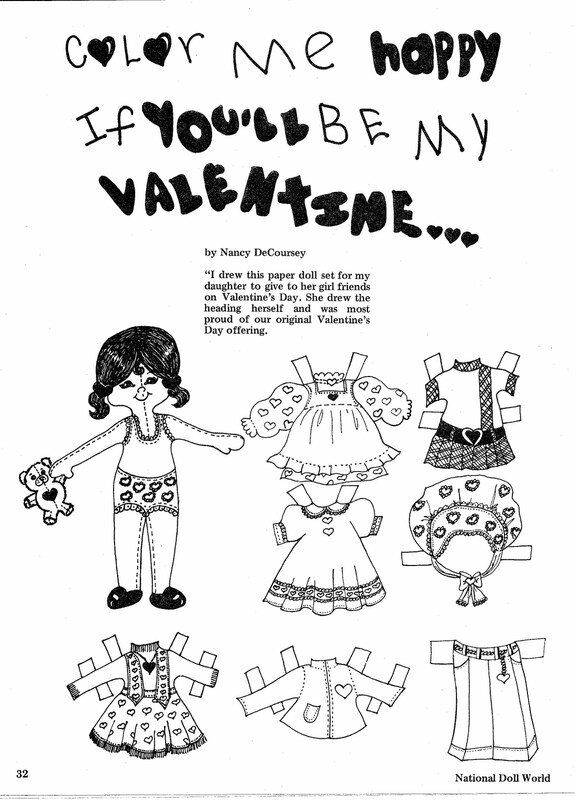 VALERIE - A Paperdoll For VALENTINE'S DAY by Helen Mallard, age 14. 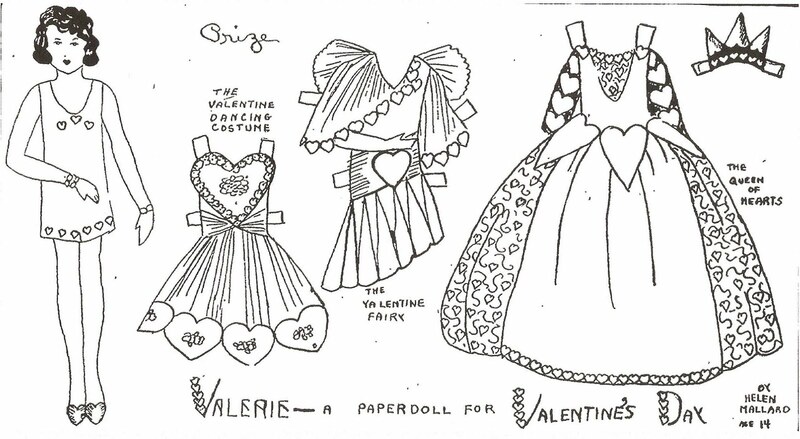 This paper doll appeared in the Tribune on February 09, 1930. 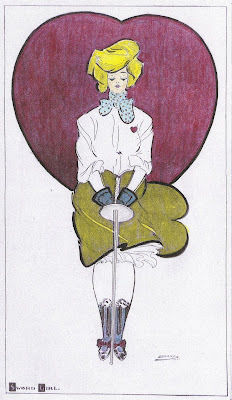 MARTHA - An Old-fashioned Valentine Maid by Edythe Klubauer (I hope I spelled her name right), age 13. 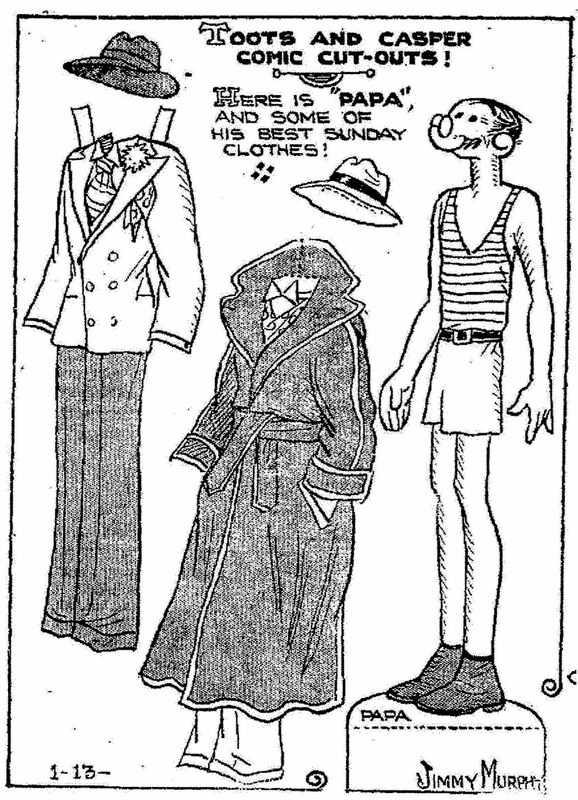 February 16, 1930. 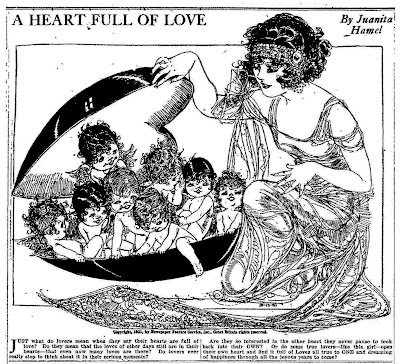 This Juanita Hamel illustration appeared in newspapers in 1921. 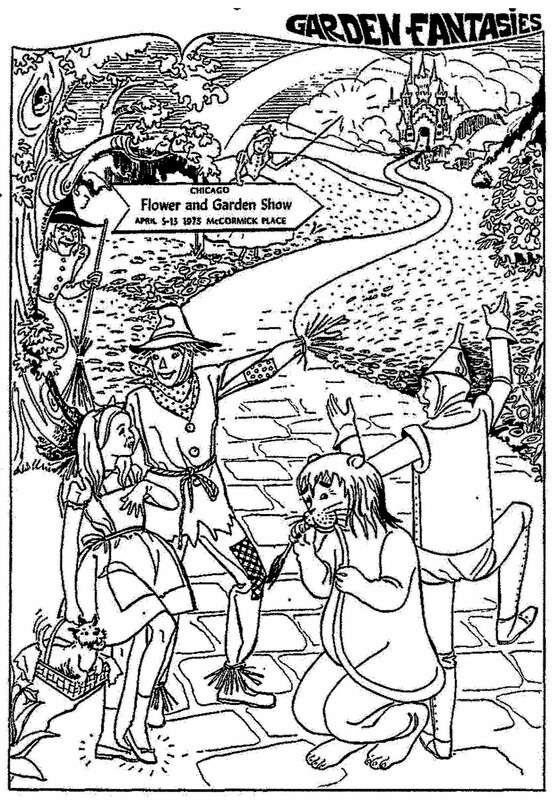 She is one of my favorite illustrators and her work appeared in newspapers across the country for decades. 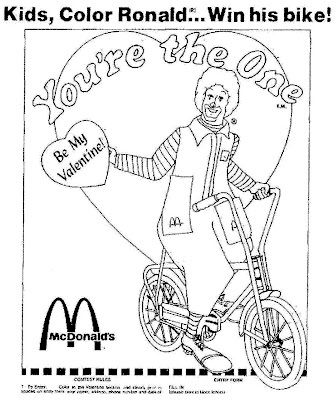 To My Valentine . . . 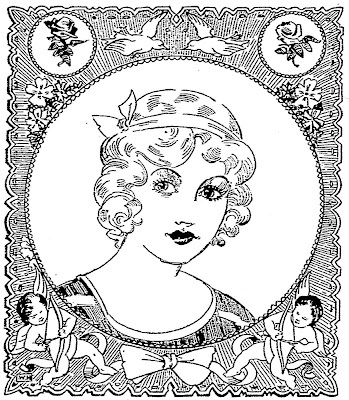 I found this pretty illustration in a store ad in a newspaper from 1930. 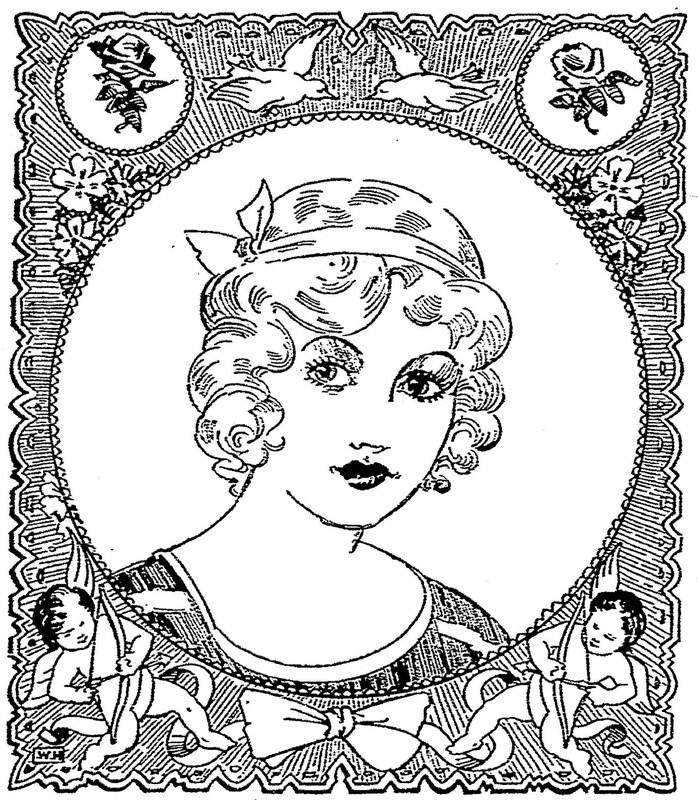 A lovely lady that appeared in various newspapers in 1936. 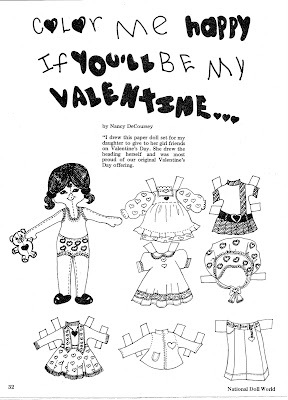 This Valentine paper doll was drawn by Nancy DeCoursey and appeared in the January/February 1978 issue of National Doll World Magazine. Thanks mom.